JTAG is a dedicated debug port which allows hardware assisted software debugging or to recovering flash content. Colibri and all Apalis modules provide the JTAG signals through pads on the bottom of the PCB. The Colibri Evaluation Board v3.1 and later as well as the Apalis Evaluation Board come with pogo pins connecting to the JTAG pads of the module PCB. 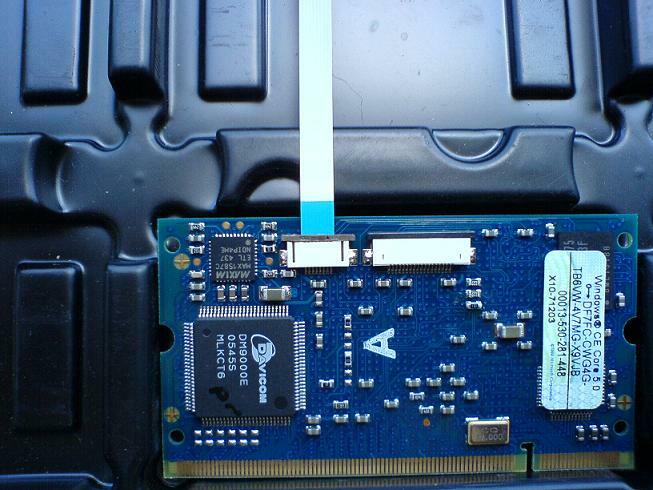 JTAG is then provided by a standard 20-pin connector (ARM JTAG 20) on the evaluation board. On PXA based modules JTAG is the only recovery mechanism (supported by the Toradex utility Colibri Loader). Modules powered by NVIDIA Tegra, NXP/Freescale i.MX6/7 or Vybrid SoC provide an internal boot ROM with various recovery capabilities. We recommend to make use of the SoC's boot ROM for recovery instead of using JTAG. While we recommend using a Lauterbach one can actually also get it running with low-cost equipment as outlined below. There are two options to debug the T20 CPU. Note: Both options require first disabling the CPU watchdog. BMP is an Open Source firmware which can run on different hardware platforms. The BMP team offers their own hardware platform which supports JTAG and SWD. It can also run on ST-Link V2 programming/SWD adapters which only supports SWD. There are also STM32 development board which have a debugger on-board and can be obtained as cheap as €15 at your favourite online retailer. 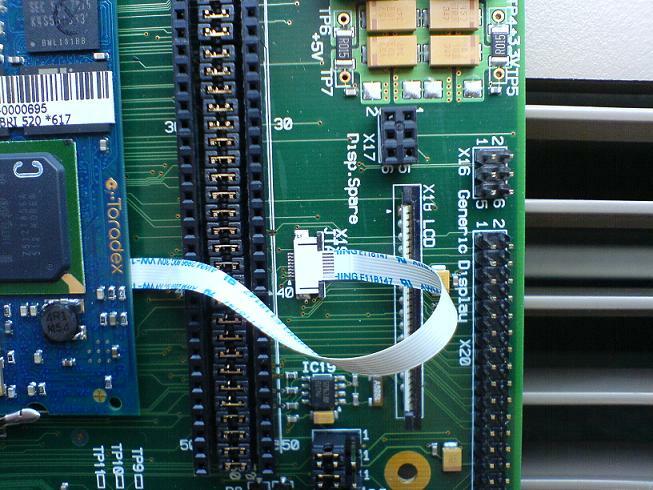 It suffices to flash the correct BMP firmware onto the ST-Link V2 portion of an the STM32 development board. monitor swdp_scan and then attach 1. Pro: really easy to use, no configuration required, hardware is identified automatically. Contra: BMP is developed for microcontroller debugging. Debugging a Cortex-A9 is beyond its scope but it actually mostly works. Dual-core debugging is not possible. Either compile the kernel without SMP, or you will see two targets when swdp-scanning, and you can only attach to one. Despite this, you can at least partially debug e.g. the Linux kernel. Bootloader debugging works as well, as U-Boot only uses one core. The other option is to use OpenOCD with e.g. the Olimex ARM-USB-OCD-H in combination with ARM-JTAG-SWD. This setup also uses SWD. So far directly using JTAG with (only) the ARM-USB-OCD-H seems not possible. Pro: Dual-core debugging is possible; many of the advanced features of OpenOCD can be used. Contra: Complex configuration required. OpenOCD usage in itself is quite complex. One can happily use this to debug the Linux kernel and the U-Boot boot loader. Toradex tested some debug adapters for the secondary Cortex-M4 core (Colibri VF61). The ARM KEIL ULINKpro D debug adapter in combination with ARM DS-5 development environment has proven to be working. Our partner AntMicro documented how to use OpenOCD on Linux. OpenOCD supports various JTAG debug adapter such as the Amontec JTAGkey-tiny, Olimex ARM-USB-OCD or Olimex ARM-USB-TINY-H.
Connect your JTAG adapter to X13 of the Colibri Evaluation Board V3.1. Make sure that pin 1 of the connector connects to pin 1 of your JTAG adapter. On the Colibri Colibri Evaluation Board V2.1 provides a JTAG interface on connector X13. The Amontec JTAGkey-Tiny pin 1 matches to the Evalboard V2.1 X13 pin 1. For more information about the JTAG pin out see also the Evaluation Board Schematic. Type "startup". Select [Change advanced startup settings]. Select [Restart now] under the Advanced startup area. Select [Restart]. Your system will restart and present a text-based menu. Select option 7 on your keyboard to choose "Disable driver signing enforcement". We found problems when installing the originally linked drivers from the Amontec page under Windows 7. Drivers for the Olimex-ARM-USB-OCD can be downloaded from the ColibriLoader download folder.